Whether you use an Advanced Poly, Autobag, Sharp, Titan, Audion, PAC or other roll bagger, make the BaggingGuys your source for low-price, high-quality Bags on a Roll. We offer a variety of high-quality Stock and Custom Roll Bag sizes! 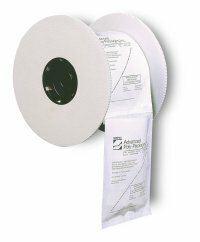 Stock Roll Bags: We always have Advanced Poly-Bags™ available for your regular production needs or emergency production shortages. 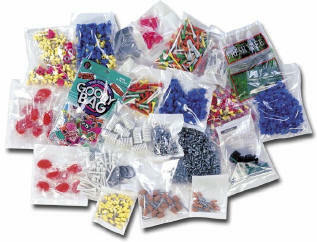 Our selection of stock bags range from 2" x 3" to 10" x 12" in thickness from 1.5 mil to 4 mil. Inventory permitting, we can have bags shipped within hours of receiving your order. Custom Bags: We offer a complete selection of custom unprinted and printed poly-bags ON ROLLS! Custom bag options include color printing, clear / white combination bags, custom sizes, headers, hang holes, side perforations for easy-open, custom poly blends for batch inclusion bags...! See our complete line of equipment to automatically feed, open, fill, and seal your bags on a roll. We offer New Baggers like the T-200, T-275, T-300, T-375 and T-1000 from Advanced Poly Packaging as well as a variety of Used and Rebuilt roll bag equipment!